In the spirit of solid state devices (SSD) including DRAM and nand flash, not to mention emerging phase chance memory (PCM) among others that help to boost productivity and cut latency, here are a couple of quick notes and links. 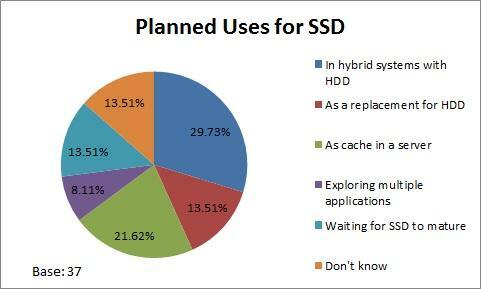 What’s your take on SSD in storage arrays, cast your vote and see results here. Also check out here what Micron has in mind with merging nand flash with the DDR4 (e.g. DRAM socket) memory bus for servers in a year or two.